“Cortana is easily one of the coolest new features of Windows 10. You’re probably already familiar with personal assistants like Google Now and Siri, but now you have one built right into your desktop! Here’s how to get information, manage your schedule, and even run a few Google commands. (1) Search for “Cortana settings” in your Start Menu. 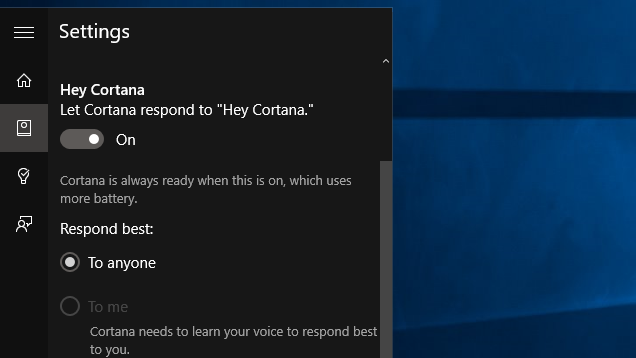 (3)(Optional) Under “Respond best”, you can choose “to me” to tailor Cortana to your voice. You’ll need to perform a couple quick exercises to teach Cortana your voice. Otherwise, Cortana will work for anyone.